First, the best news I’ve heard since I woke up. 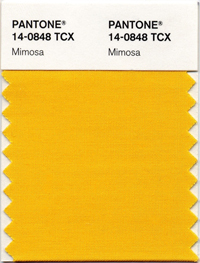 Mimosa, has been chosen by Pantone as the color of the year for 2009! *cheer* *cheer* Isn’t it fantastic?! And I’ve been tagged by Oiseaux!